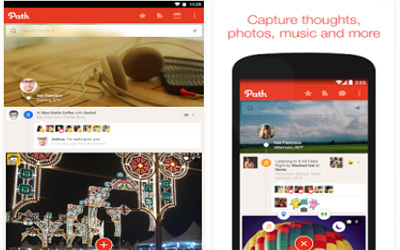 Previous version Path 6.3.1 apk for Android will help you to downgrade or install older app easily. This is one of the best Social apps. Explore the daily life within the Path community! Now you can easily discover public moments across the millions of Path users around the world. Join in the sharing by turning on “Accept Followers” in Settings. Say goodbye to spammy comments with our new ability to disable comments for your public moments. Experience Path without ads by upgrading to Premium! Enjoy these new features along with bug fixes and improvements!